Beryl is a beryllium aluminum silicate that occurs in every color of the rainbow but is colorless in pure form; various metallic impurities give beryl its varied coloration. When green, it's an emerald. When blue, it's termed aquamarine. When pink, morganite. There is a berry red variety called Bixbite, found in Utah. Heliodor is the yellow variety of beryl and goshenite is colorless. There is a very rare and costly variety termed Riesling beryl, that can be described as pale green color, with a warm golden yellow flash. With the exception of emerald, beryl is considered to be a tough and durable gem. Beryl is most often found in beds of granitic pegmatites. The pure, colorless beryls are found within gas cavities in the pegmatites, where metallic oxides are unable to permeate the crystals. Certain beryls can attain a weak cats-eye or star effect. The Los Angeles County Museum of Natural History displays a cats-eye beryl weighing 211 carats and a star beryl weighing more than 11 carats. Beryl was widely known in antiquity. 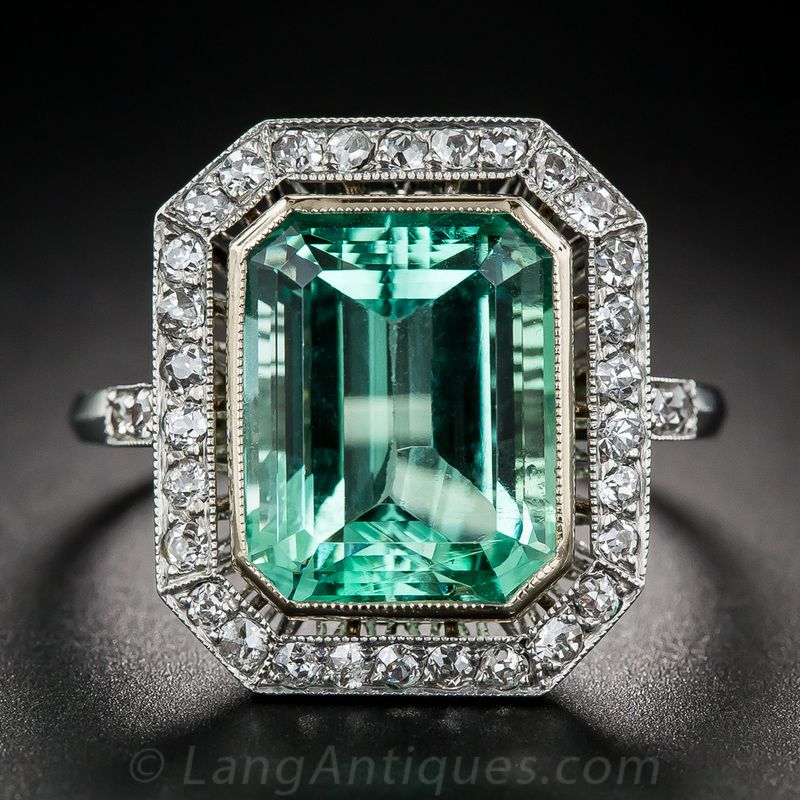 The name beryl originates from the Ancient Greek "beryllos" which was once applied to all green gemstones, but later used only for beryl. It has always been a stone of mystics. It's transparency was a perfect medium for crystal gazing making a seer's vision of prophecy and future events very efficient. Greek physicians made a gemstone elixir to cure bladder infections and kidney stones, by dosing patients with water into which beryl had been dipped. In the 14th Century A.D., Konrad von Megenberg chose the same remedy for asthma. Medieval physicians claimed beryl to be a sure cure for liver disease and jandice. A beryl carved into the image of a frog was thought to turn enemies into friends. And when engraved with the bird, hoopoe, it could invoke the spirits of the dead. Beryl is associated with Scorpio or Gemini. Beryl is metaphysically attributed with the ability to cure a number of intestinal and stomach ills, such as nausea, obesity, ulcers and seasickness. It also is credited with increasing resistance to toxins and pollutants. It is a gem of the crown chakra. Similar Stones: Beryl can be confused with quartz, glass and a number of other materials depending on the color of the specimen.